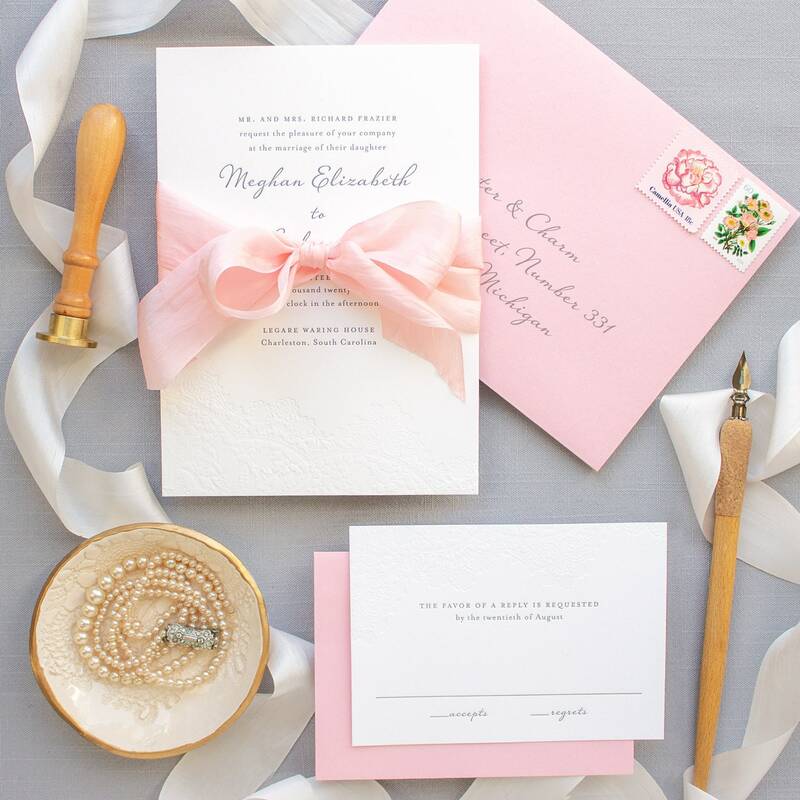 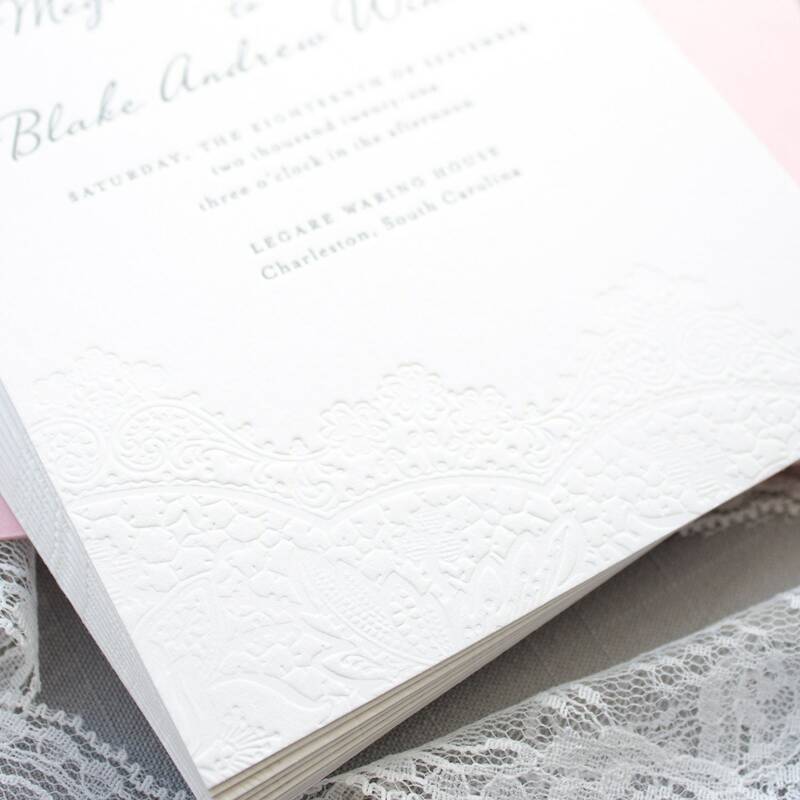 This letterpress wedding invitation features a lace design in blind deboss on 2-ply cotton paper tied with a pink silk ribbon. 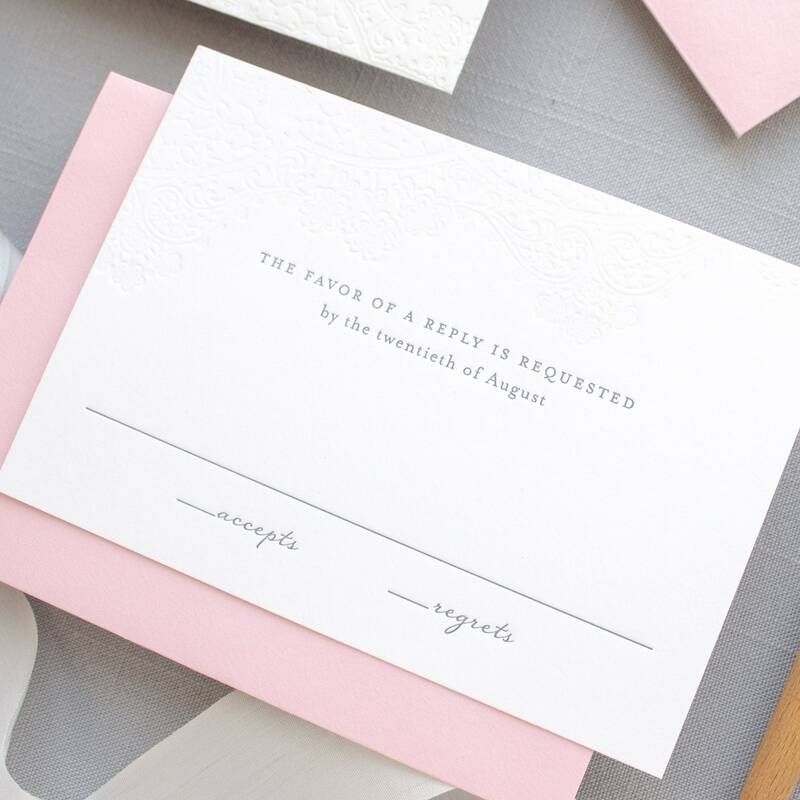 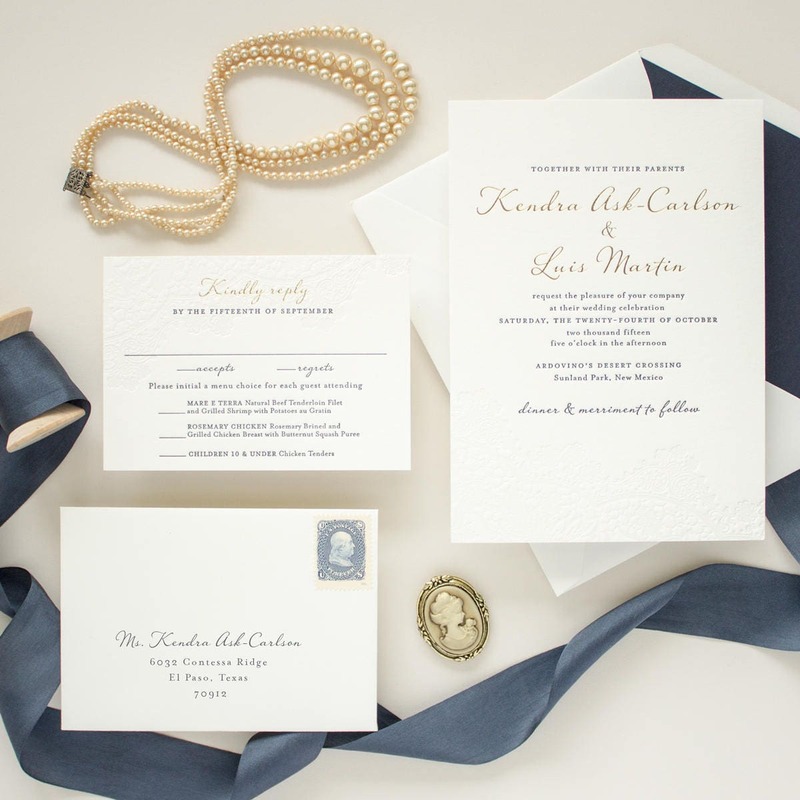 Blind letterpress (or blind deboss) is letterpress printing with no ink and just impression for a subtle look that is elegant. 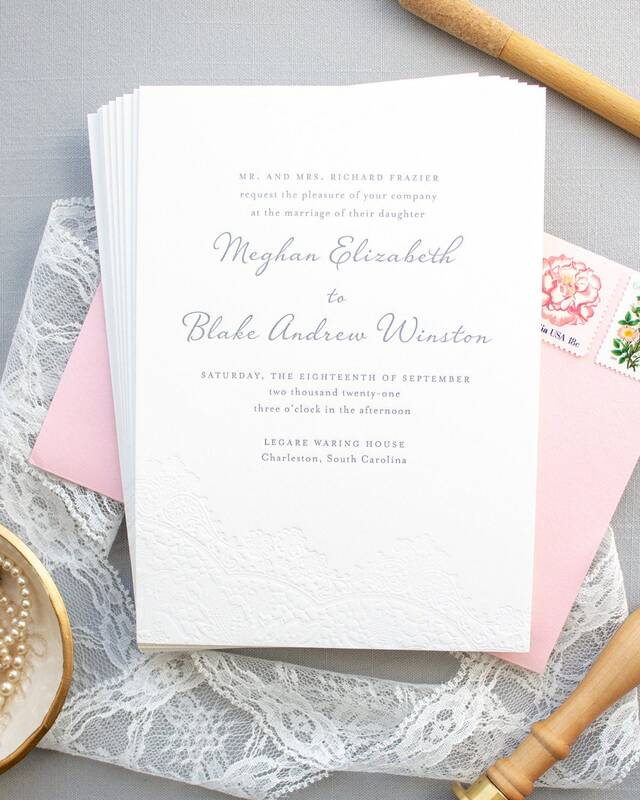 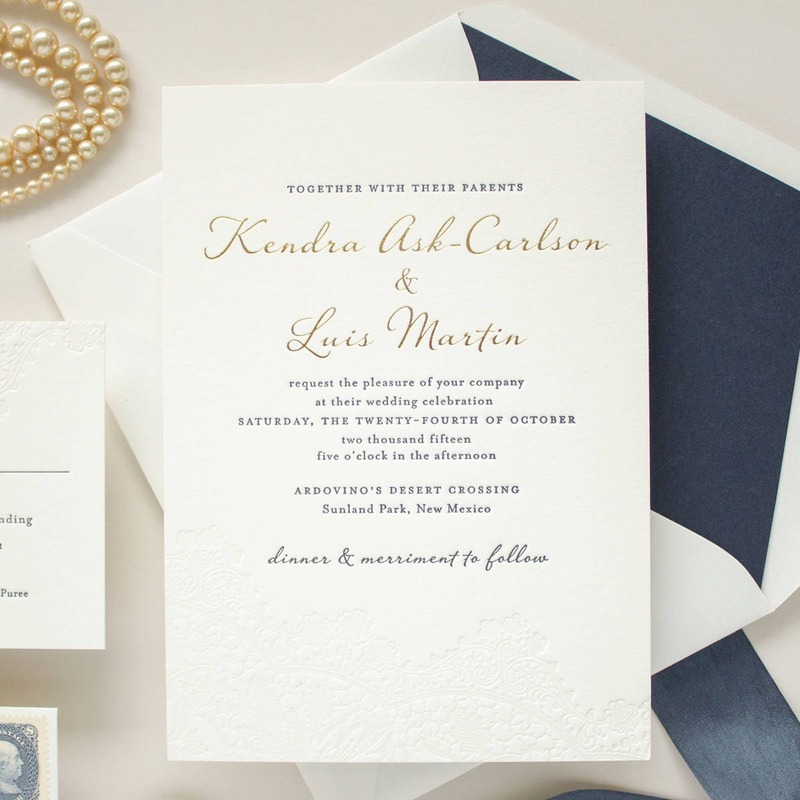 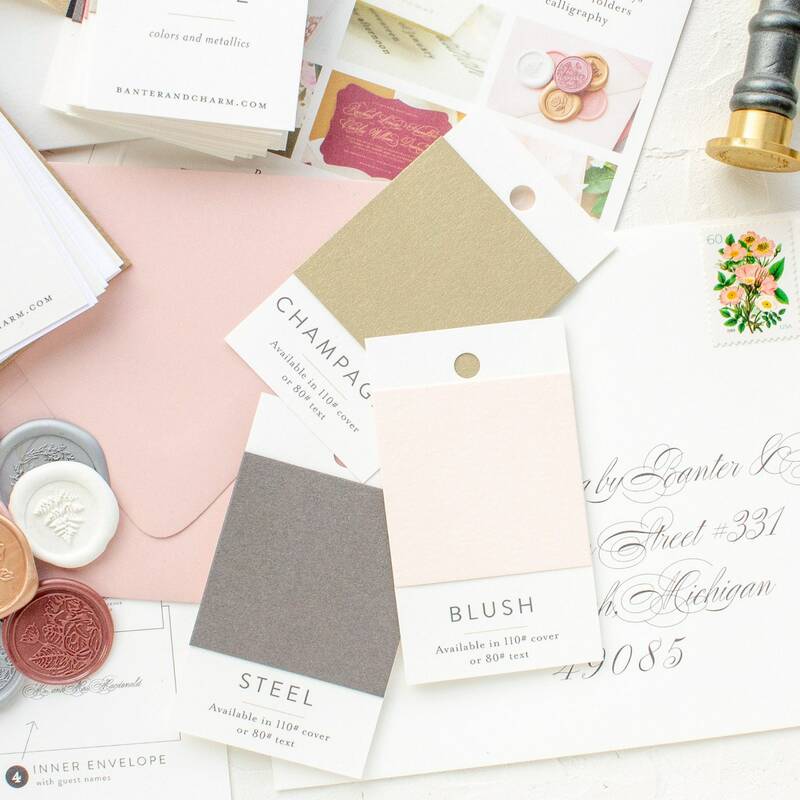 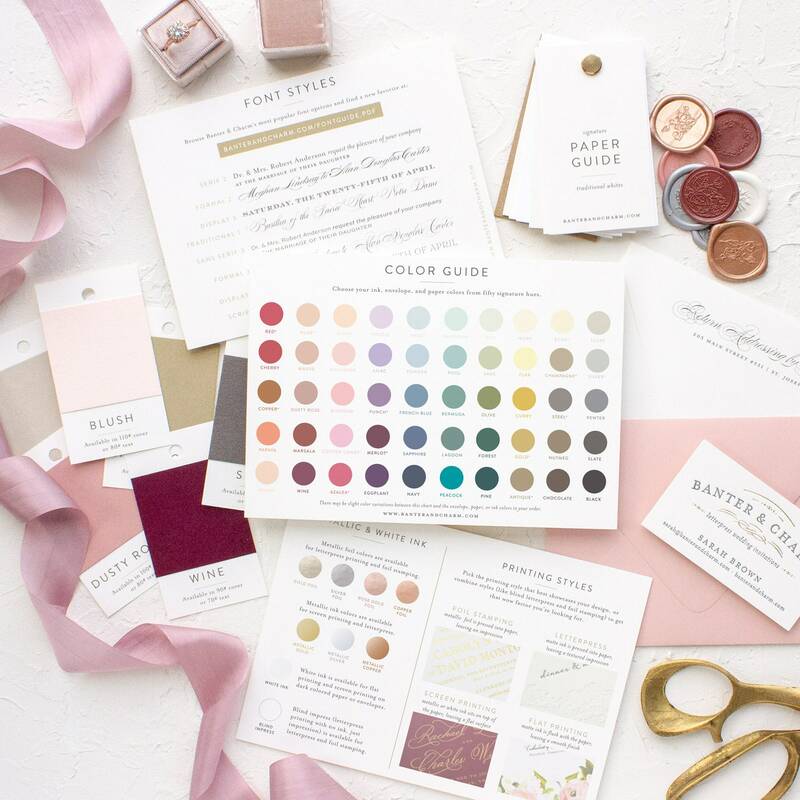 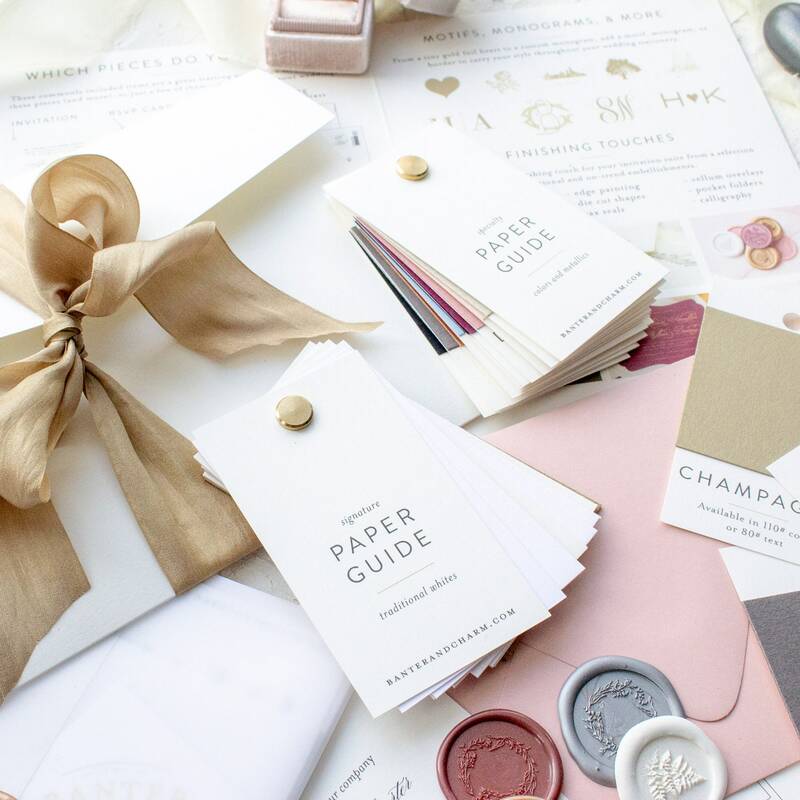 *Samples are pulled from custom letterpress orders and may feature different wording and fonts than the photos.